When You Wish Upon a Star arranged by Sammy Nestico. For Concert Band. 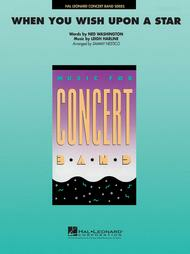 Score and full set of parts.. Hal Leonard Concert Band Series. Grade 4.. Grade 4. Published by Hal Leonard (HL.4209900).Nestico - Grades 3-4.